Happy October! I cannot believe we are already in the middle of fall. Thanksgiving will be here before we know it. It has been a little less hot around here lately but still no signs of real fall weather. I am finally starting to make some cooler weather meals despite the temperatures and I am bring out the fall decor later today. 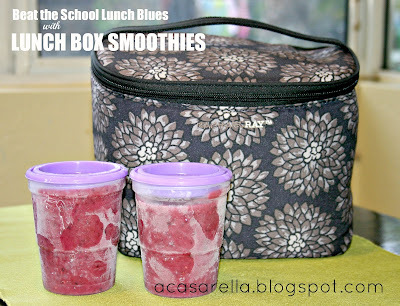 This week's most clicked link were these ingenious Lunch Box Smoothies from A Casarella! 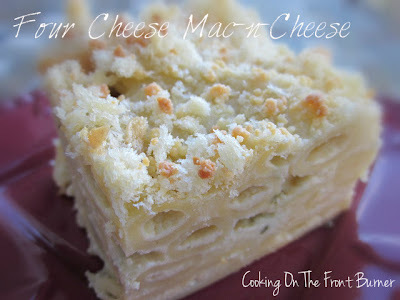 How could I not pick this Four Cheese Mac & Cheese from Cooking on the Front Burner. She used the word luxurious in the title and the picture definitely screams luxurious. I love peanut butter and even more so when you pair it with chocolate. 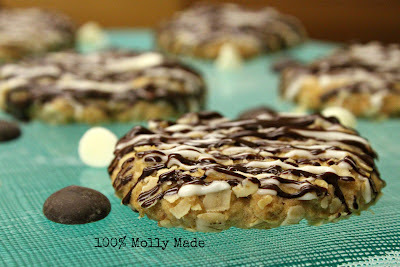 So these Peanut Butter Oatmeal Cookies with Chocolate Drizzle from 100% Molly Made are just my thing. You know what combo I might like more than peanut butter and chocolate? Mint and chocolate. 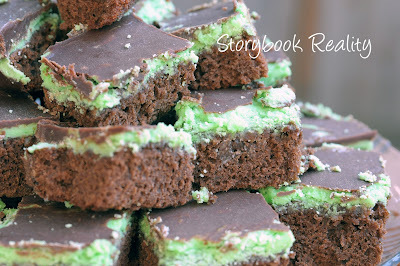 That is why our last feature o' the day are these decadent Creme de Menthe Brownies from Storybook Reality. Thanks for hosting Kaylee! Have a great week! I am trying to be good and not eat so many desserts so I can finally lose my baby weight, but there are so many amazing looking desserts. I feel my willpower dwindling. Thanks for a great party!